Today’s Deal is on the low profile USB Flash Drives from SanDisk. Over at Amazon you can pick up the SanDisk Ultra Fit 64GB drive for $18 with other sizes available. 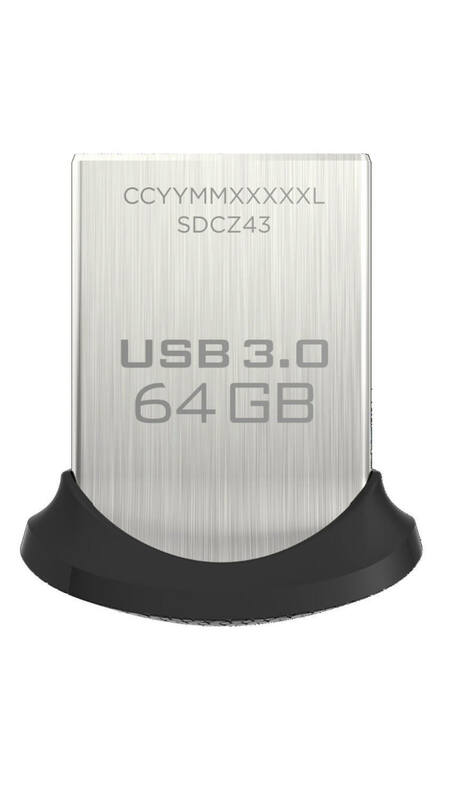 The Ultra Fit series are designed to fit into the USB 3.0 port of your PC, Mac or Chromebook and not protrude like a normal Flash Drive. Indeed, the idea is that you can leave it in your computer without ever having to take it out when you slip it into a bag or backpack. The sale is on the 32GB, 64GB and 128GB versions of the Ultra Fit. All three are have a zippy read speed of 150MB/s so while they are too slow to run apps from, they are perfect for data, photos and videos. The drives also come with SanDisk’s SecureAccess software to encrypt the drives should they ever be lost or stolen (although you can use MacOS and BitLocker encryption should you choose to do so instead). I personally use one of these Ultra Fit drives in my Chromebook for additional storage. They are fast and reliable and because of their size, they do not protrude from the side of my device significantly. I’ve had one for the past 3 months now and have no problem recommending them to readers who are looking for additional storage for their laptop.